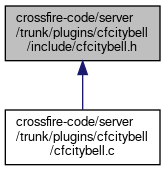 #define PLUGIN_VERSION "Hourly city bell plugin version 1.0"
This file is part of the city bell plugin. See this page for more information. Definition at line 56 of file cfcitybell.h. Definition at line 40 of file cfcitybell.h. Definition at line 41 of file cfcitybell.h. Definition at line 41 of file cfnewspaper.c.